Ben Rice from the Norris FFA Chapter had quite the background in the dairy industry before even joining FFA. 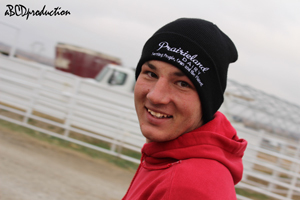 He was born into the dairy industry and most of his family remains working on their dairy farm today - his dad, Dan, as general manager, his mom, Brenda, as secretary, and two of his three sisters. Rice says by working on the dairy, he has been given the opportunity to see a much bigger picture. His dairy production Supervised Agricultural Experience (SAE) rooted him in the ag industry and helped him develop a unique career pathway. This SAE helped Rice see the bigger picture of agriculture and brought out the strengths in him to see his full potential. His understanding for sustainability in ag production has grown drastically. He distinctly remembers a trip with his dad to California a few years ago. They visited various dairy farms, two of which had methane digesters which were shut down. “It really got me thinking about future goals of how to make these systems work and be profitable across many agriculture industries,” he says. Rice also manages Prairieland Gold, Prairieland Dairy’s compost operation. Rice set a goal to make Norris Public Schools a greener and more sustainable campus and he started collecting all food waste from the intermediate and middle school cafeterias and brought it back to the dairy for compost. He says Prairieland Gold receives 86% of the cafeteria waste, which is a huge impact on what was going into the landfills. In just the last two years, Rice and his brother-in-law, also an employee on the dairy, have done presentations to several organizations and businesses to start collecting more food waste for compost. They are now collecting waste from Innovation Campus and a Russ’s Market in Lincoln, several Wal-Mart stores in Omaha and a dog food plant in Crete. In January, they will add Pinnacle Bank Arena in Lincoln to the list. 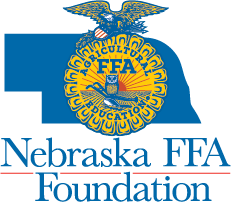 Rice has also become a great advocate for the ag industry by joining the Alliance for the Future of Agriculture in Nebraska (AFAN) and attending the Nebraska Agriculture Youth Institute (NAYI). He can often be spotted at local grocery stores, along with a cow and calf from the dairy, speaking to consumers and connecting them with an understanding of where their food comes from. He was awarded the Nebraska Star in Placement at the 2014 State FFA Convention. These awards recognize the best of the best among State FFA Degree recipients. Finalists for the award have mastered skills in production, finance, management and/or research. Rice has shown strength and growth in management of Prairieland Gold, his family’s dairy compost operation. He developed skills in dairy herd management, balancing feed rations and creating nutrient-rich soil amendments. His State Star application ties everything Rice has learned together into the bigger picture. He explains the simple things he has learned make a big impact on the important things. Rice says that FFA and his agriculture teachers really encouraged him to take his Supervised Agricultural Experience to the next level. “I could have just had a basic SAE. I started out just moving manure from the pad to rows,” he says. His agriculture teacher and agriculture education experience pushed him to do more. Now that Rice is serving Nebraska as a 2014 Nebraska FFA Vice President, he is encouraging more members to do the same. When he’s facilitating leadership conferences or visiting schools, he’s talking to students about their SAE and how they have the potential to do even more. In addition to serving as the State Vice President, Rice is currently attending the University of Nebraska–Lincoln with a major in Mechanized Systems Management. He wants to continue to be involved in the dairy and to work for a company that designs and builds systems like methane digesters for livestock operations to make them more sustainable.